After exiting the subway station, we started our exploration by walking along Aoyama-dori, which intersects Omotesando at one of Tokyo’s busiest intersections. We passed the United Nations University (apparently a thing that exists), and came upon a drab building called the National Children’s Castle. Not just the Children’s Castle, you see, but the national one. Of course, we couldn’t resist going inside. Built in 1979 to commemorate the International Year of the Child, the National Children’s Castle is designed to be a paradise for kids. Grand playrooms with slides and ropes. A multimedia library with hundreds of individual viewing booths. Full-floor nursing stations. A stage where music groups perform to wobbling toddlers. An arts studio. A pool. A gym. Even a hotel. The place was packed full of screaming kids, finally given free rein to go as bonkers as their little hearts desired. We returned to Omotesando-dori with splitting headaches, and now had to contend with the mind-blowing architecture of this sloping, tree-lined street. Some of the highlights include the bubbling glass facade of the Prada shop, the crisscrossing concrete supports of Tod’s, the sleek black hourglass shape of the Hugo Boss store, and the classic Beaux-Arts facade of Ralph Lauren. 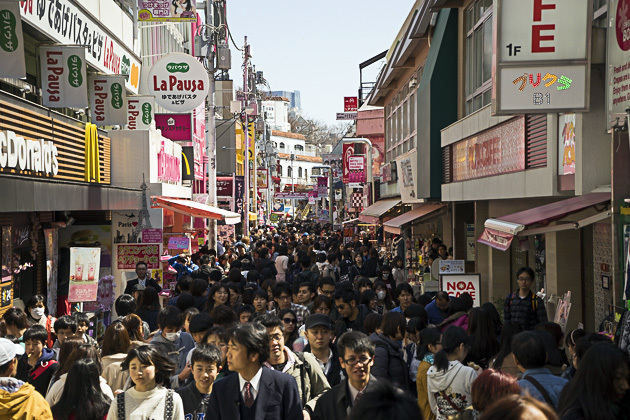 The people strolling along Omotesando-dori are just as bold and other-worldly as the architecture. We brushed past supermodel-level beauties, and watched suave playboys emerge from Maseratis. These were people who shop at Dior, because that’s simply where they shop. As one particularly immaculate guy passed us, I said, “Every individual thing he’s wearing costs more than everything I own, put together.” Jürgen didn’t laugh, because he knew I wasn’t joking. 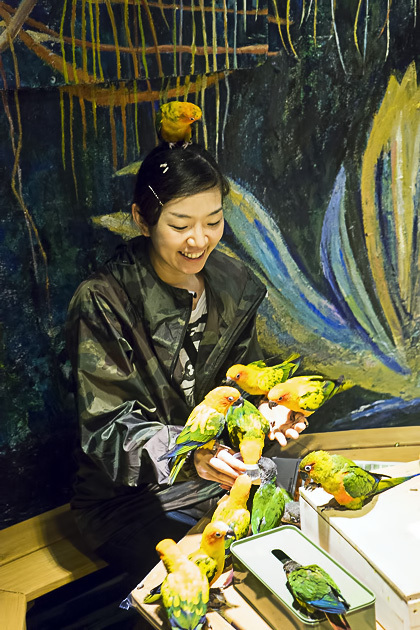 Omotesando might refresh your envy of the upper crust, but not all of the shops are exclusive. For instance, there’s a popular toy store called Kiddyland and even a McDonald’s. 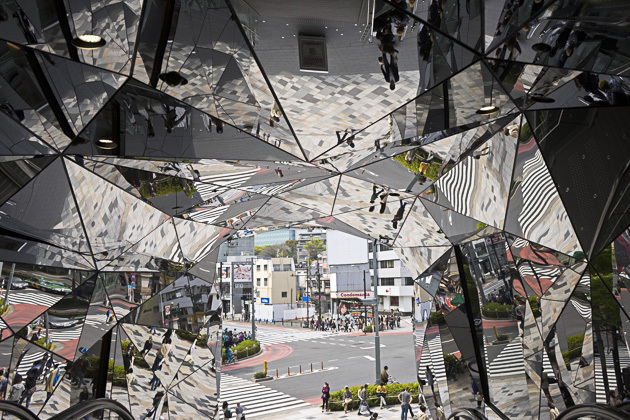 And the Harajuku Mall, with its striking shattered-glass entryway, has stores with prices that are more down-to-earth. So you can go shopping on the cheap and then, when nobody’s looking, transfer your Uniqlo items to a Prada bag and strut down Omotesando-dori in style. Look at You! You Think You're Ready for Harajuku! The Architecture and Glamour of Omotesando The street of Omotesando-dori, leading westward to the Meiji Shrine and Yoyogi Park, has earned a reputation as the Champs-Élysées of Tokyo. With haute couture brands like Gucci, Prada and Louis Vuitton occupying architecturally ambitious buildings, and Tokyo's most stylish citizenry stalking the sidewalks, a stroll along Omotesando-dori is both impressive and humbling. Really nice pics 🙂 I was just wondering, could you tell us where is the location for that white hallway? Would love to visit that place.